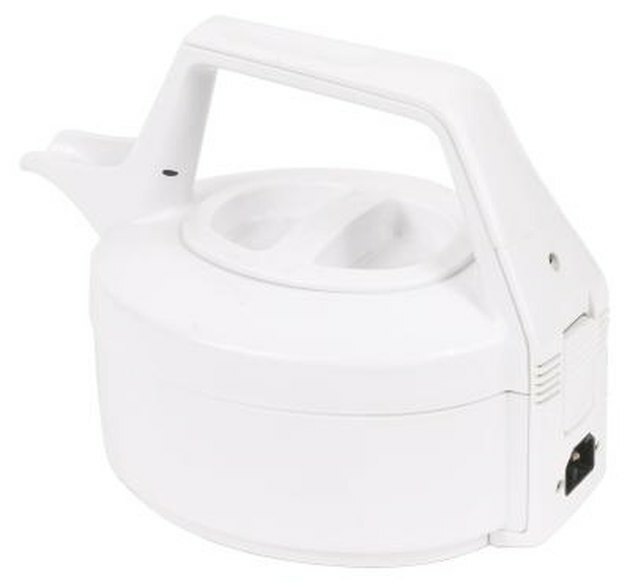 Electric kettles, available in corded and cordless models, quickly heat water for use in making teas, coffees and other drinks as well as soups and cereals. The devices contain a shutoff feature that keeps your water from overheating and evaporating. They also include an internal heating element and come in a variety of sizes and designs. 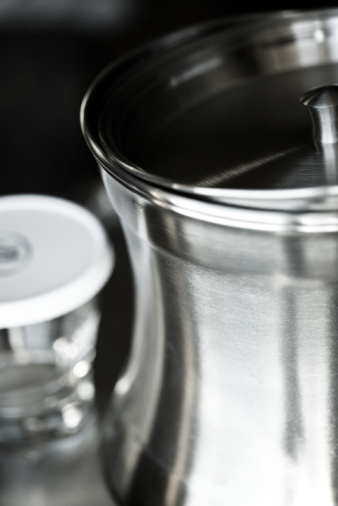 Like stovetop kettles, electric kettles contain multiple parts that all work together to complete the boiling process. Electric water kettles boil water quicker than stovetop models. The main component of the electric kettle is its stainless steel body that holds water to its maximum fill mark. The kettle body's water capacity varies depending on model. Attached to the kettle body is a spout that water exists from and a handle to hold the kettle. Certain electric kettle models contain a splash guard that guides water from the kettle into a cup, bowl or other container instead of letting the water fan out onto surrounding areas. Electric kettle handles are shaped for comfort and include grooves for your hands. A lid is present for covering the kettle during the boil processing. The lid also keeps dust and debris from entering the kettle when the device is in use or idle. Electric kettles include an "On" switch that starts the boiling process and an "On" indicator light that lets you know the device is working. Certain electric kettle models have an automatic shutoff feature while some models do not but have instead a combination On/Off switch. The kettles contain a concealed heating element in the bottom of the kettle which is grounded and sealed to keep moisture from entering the element. A power base or power cable provides electrical power to the electric kettle's heating element. Cordless electric kettles contain a power base, similar to a hot plate, that provides electrical current to the device's heating element from a standard 110 volt electrical outlet. Noncordless kettles contain a power cable that also uses a standard 110 volt electrical outlet.